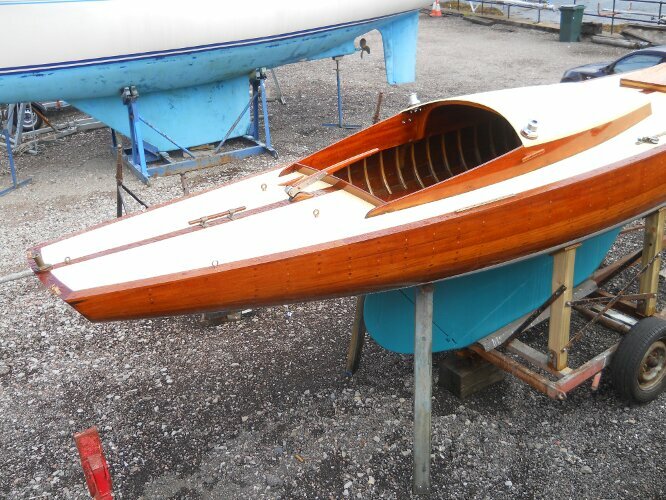 An absolute bargain this immaculate classic now must be sold to make way for the next project! 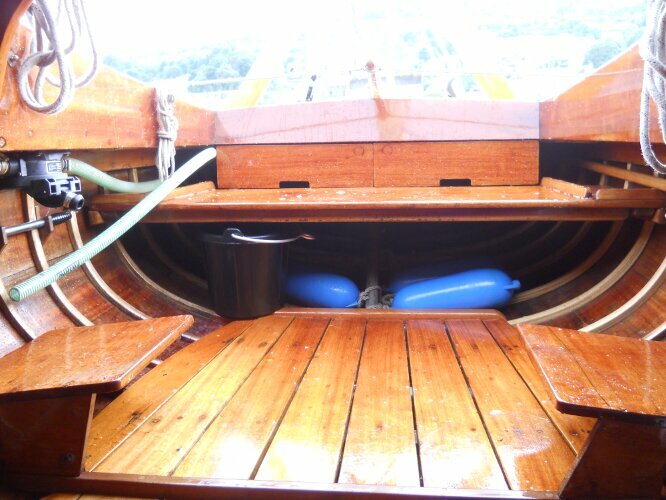 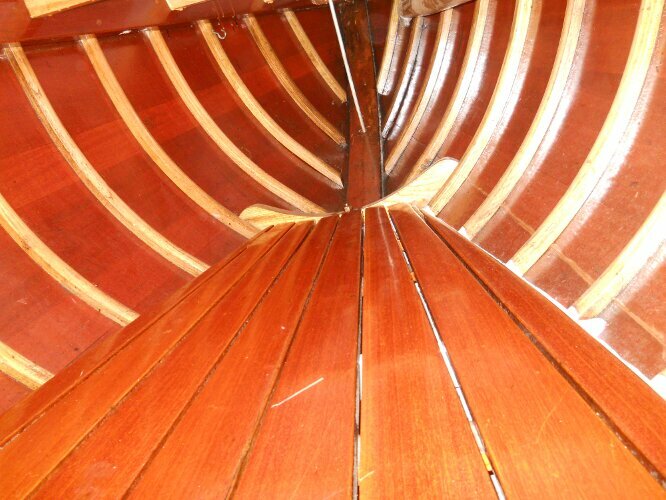 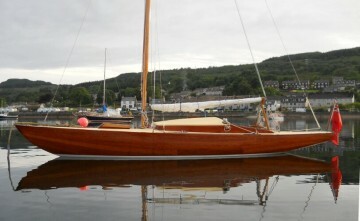 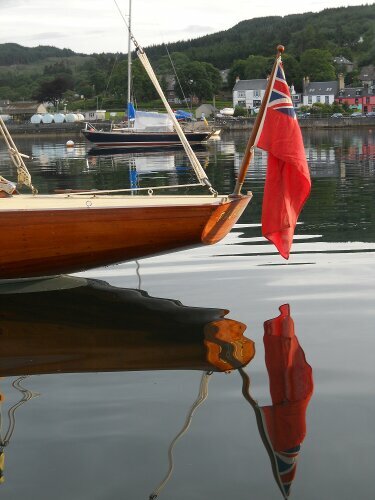 A beautiful classic mahogany day sailer, restored to very high standards and relaunched in summer 2012. 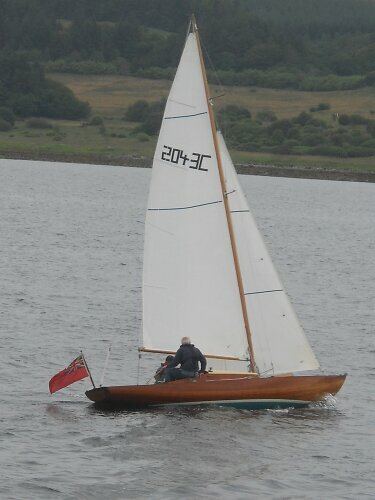 Thought possibly to be a Princess "23" or a smaller version of the Borresen Dragon. 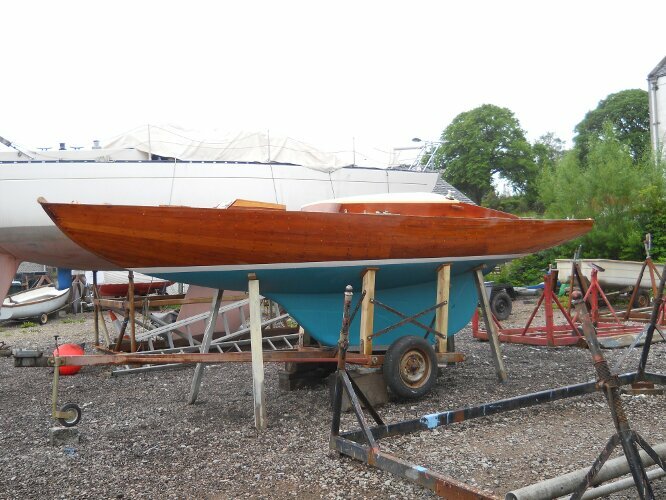 Now stored in the yacht club boatyard under a custom made shelter and ready to go. 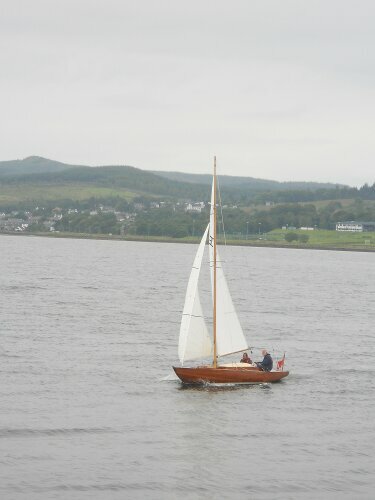 Her age is unknown but she was known to be in the Clyde in 1979 and has changed hands several times since then. 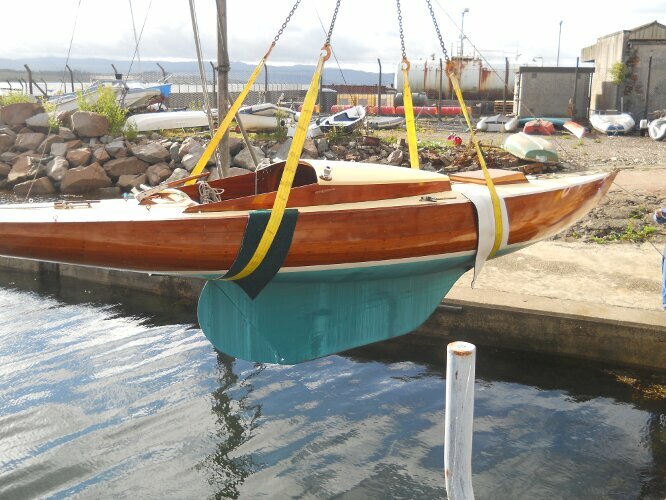 The current owner, a time served boat builder (retired), found her in around 2006 in a very sorry state and took it on himself to save her and bring her back to her former glory. 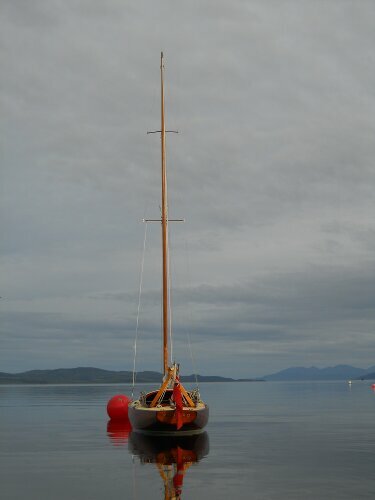 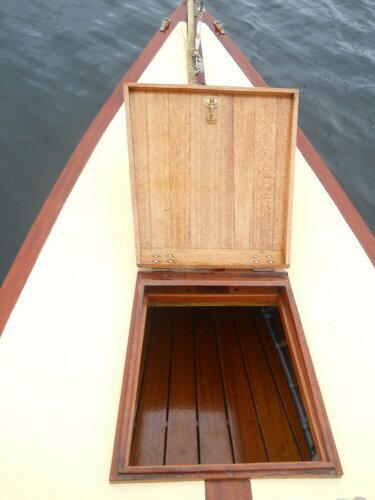 She was relaunched in July 2012 after an extensive restoration. 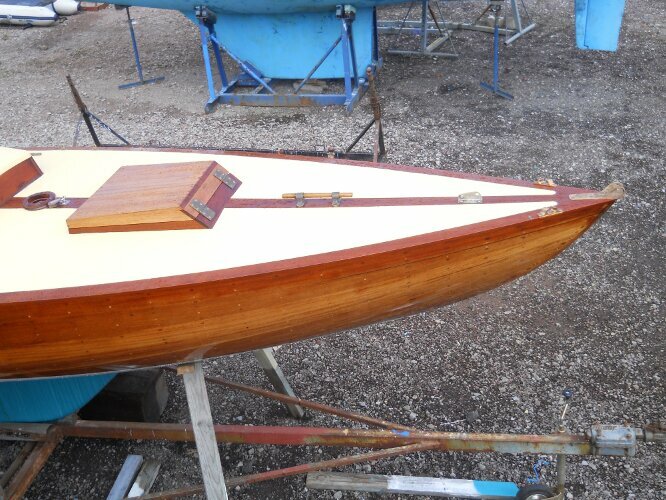 The keel was removed and new keel bolts fitted. 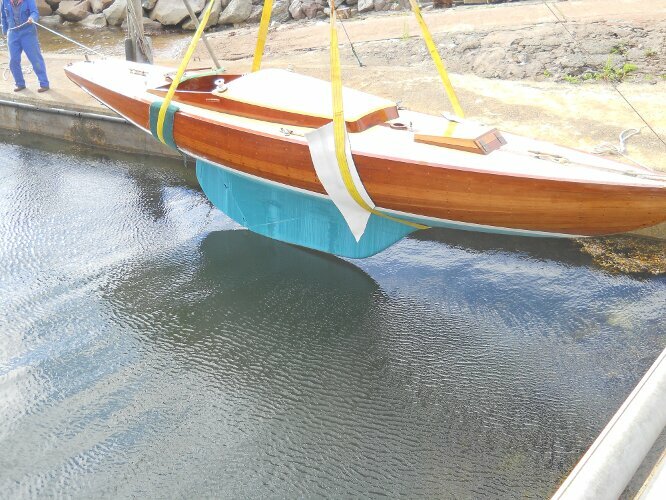 The hull was completely re-fastened, various deck beams were replaced along with the deck, covering boards and king plank.The hull and mast were completely stripped back and re-varnished/painted and a new coat of antifouling applied. 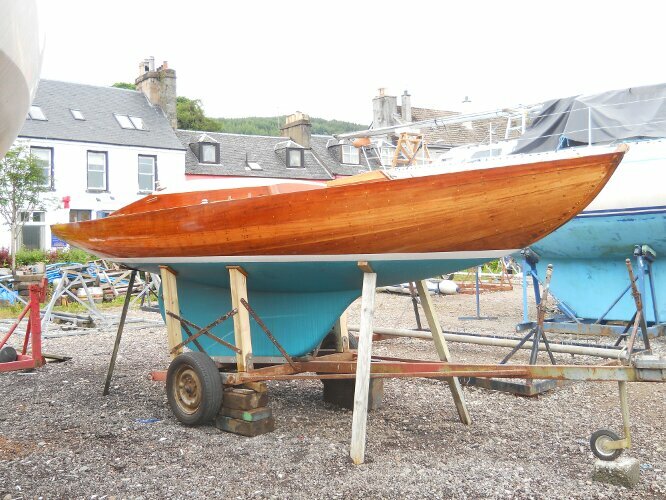 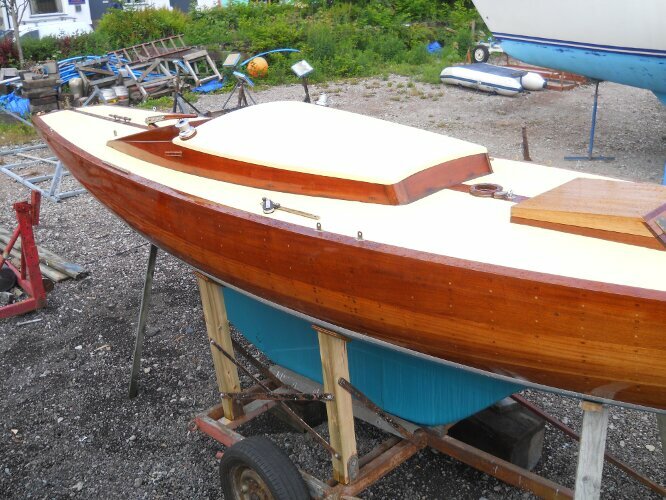 She was then launched and kept safely on her swinging mooring to allow everything to take up and settle down after so long ashore and she is now in tip top condition and for sale at an absolute bargain price for a classic boat, given the time put in and the quality of the restoration. 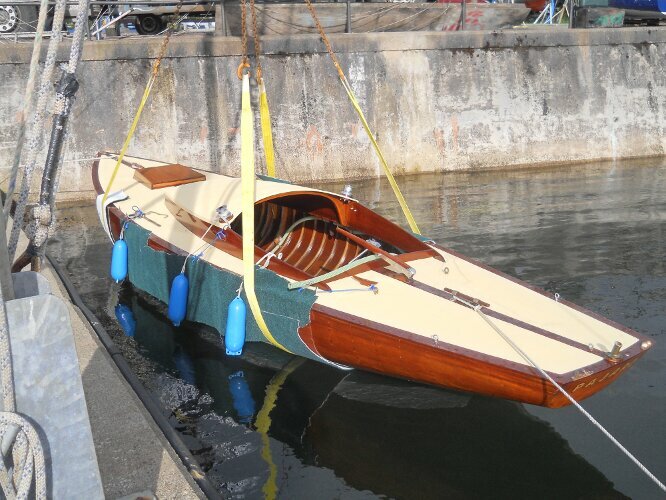 Safely in storage in tip top condition, she is ready to go with a new owner. Main and Genoa in as new condition plus a working jib and spinnaker in serviceable condition. 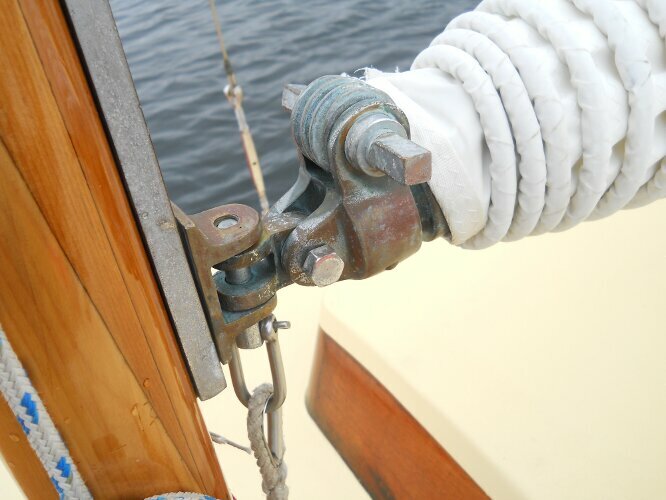 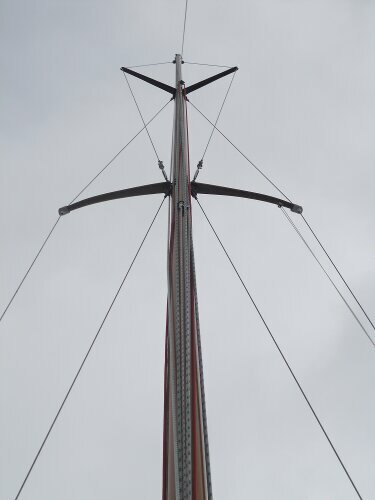 She is now fitted with new stainless steel rigging. 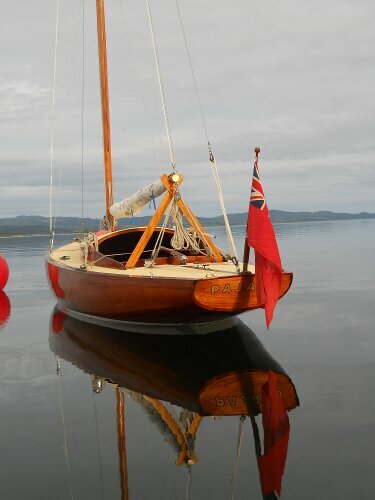 She has a Bruce anchor, warp, various ropes and fenders plus a yard trailer. 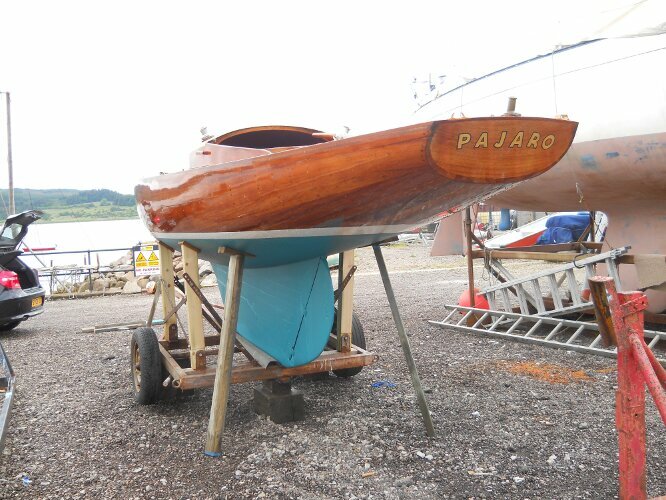 This boat is no longer for sale and remains here solely as an information resource for those researching Wooden Classic 23ft Day Sailer's.